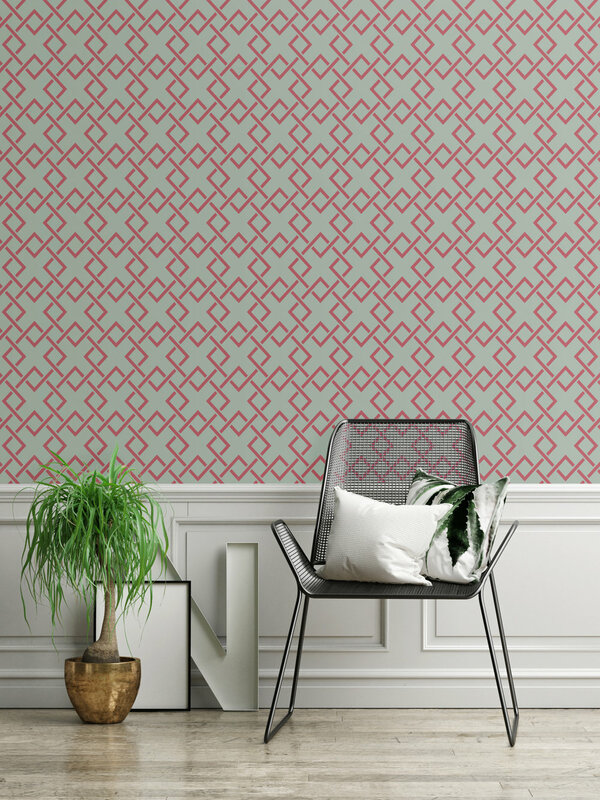 Genie Ventures a digital marketing firm based in the UK gave their office space a revamp with our Blue Mountain geometric wallpaper from the KG Basics 2016 collection. Looking fresh! See more photos here. We were delighted to work with CPS Homes on a new 24 room apartment development in Wales for 2016, Crwys House. 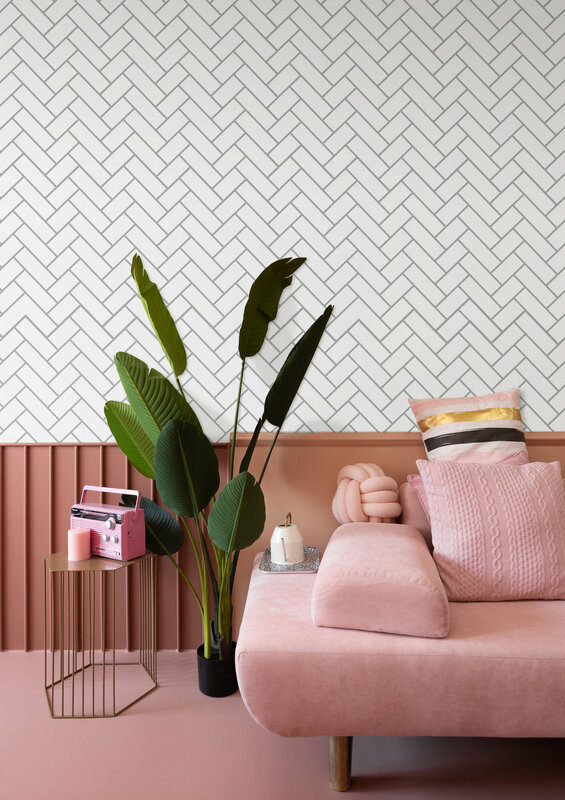 The brief was to design a mix 'n' match wallpaper for a large bespoke feature wall for the entrance of the apartment block (4m by 17m, photos to follow soon). The mix 'n' match feature wall runs the length of all 5 floors within the build. 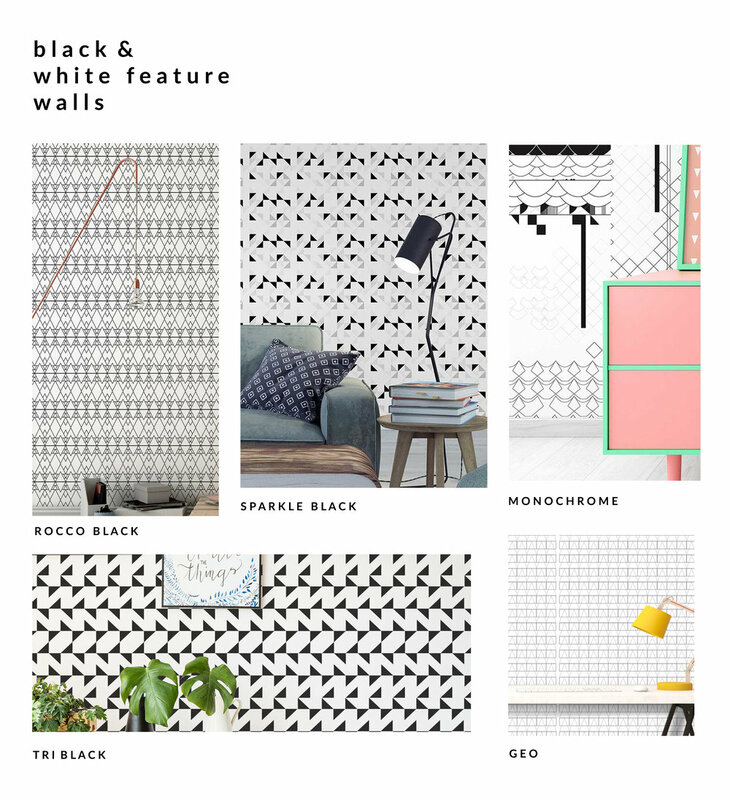 To accompany the feature wall we designed a bespoke geometric wallpaper for each of the flats and our Sparkle Black paper from the KG Basics 16 collection was used to style a backdrop feature for some of the apartments. The overall interior look is very Scandinavian with pops of electric colour. We have worked with CPS Homes for the last three years, having decorated their offices and residential spaces, we have developed an excellent working relationship. It was a pleasure designing the wallpaper and working with an fab team on the Crwys House apartment block. Visit more photos here.